DIVOMAXIMIANOOPTIMOIMP [DIVO MAXIMIANO OPTIMO IMP]; head r., veiled and laur. REQVIESOPTIMORVMMERITOR [REQVIES OPTIMORVM MERITOR]; emperor std. l. on curule chair, raising r. hand, holding sceptre. PTR in exergue. UNLISTED OFFICINA - P. RIC lists for this type only officina S (p. 180). Listed in Zschucke BTP (p. 73, no. 13.5; p. 74, no. 13.11, rev. legend break). 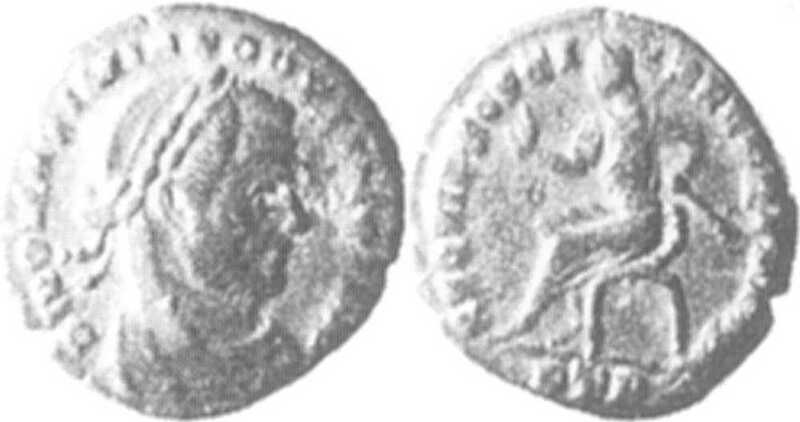 Half-follis. Coin sold on eBay in June 2009 for $32.58. - from Zschucke BTP (p. 77, no. 13.11) [click for picture].